On this week’s show, we chat live with Chris from Insomnia Radio Canada, and play 8 great pieces of (non-Canadian!) music. We talk with Chris from Insomnia Radio Canada about her journey from listener to contributor to podcaster. 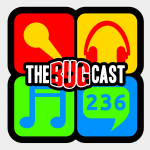 The next show will be episode 237 – possibly broadcast live in the chatroom on Friday 16 November from 21:30 UK time.